Fund Raisers / Know Someone Who Needs Help ? The Feather River Band has been setting up and orchestrating fund raisers for people in need since 1994. Tornado, fire, cancer and so on..... In 1994 at Blue Ridge School in Northern Arizona five teaches in the same year came down with cancer. The Feather River Band set up a Spaghetti dinner, entertained a packed house of towns people, had static displays from the Fire Department, Police Department, hot air balloon rides, auction etc. Round trip fair to the Bahamas was also given away, and much more. Cowboy raised over $10,000.00 in three hours for the cancer victims in a very small town and paid for some of the hospital and medical bills and other bills the families incurred. 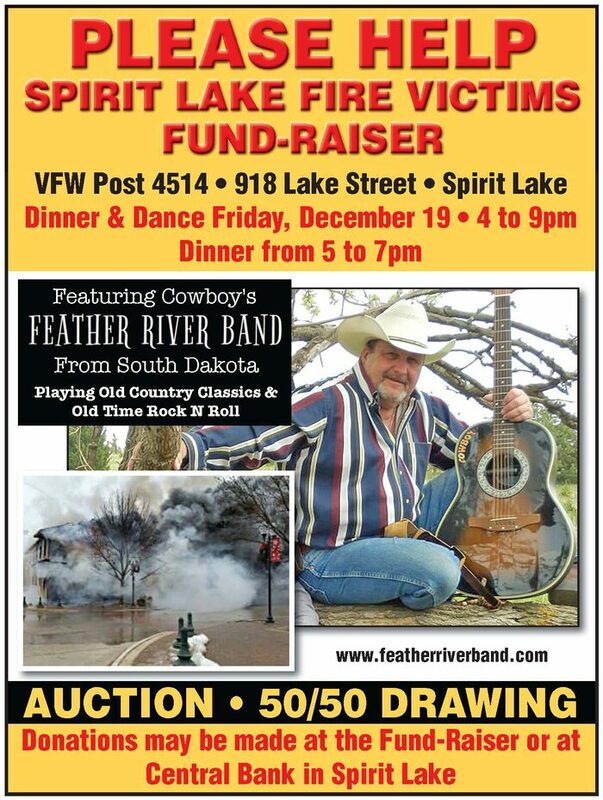 Since then the Feather River Band has done numerous successful events over the years that have helped cancer patients, burn victims, flood and fire victims, accident victims and many more. The band tries to help when it can. The band has helped with fund raisers every year since 1994 and is now approaching 110 fundraisers which has helped people in need. If you know of someone in your community that may need help, go to our contact page and drop us a line. We will help where ever we can. Read the article from the Dakota Press here ! PLEASE PASS THIS ON AND SHARE IT WITH YOUR FRIENDS. THANK YOU FOR YOUR SUPPORT. We help where we can ! UPDATE.... THE FUNDRAISER PROVIDED OVER $10,000.00 IN CASH AND LARGES AMOUNTS OF CLOTHING AND HOUSEHOLD GOODS. THANKS TO EVERYONE FOR ALL THE SUPPORT. 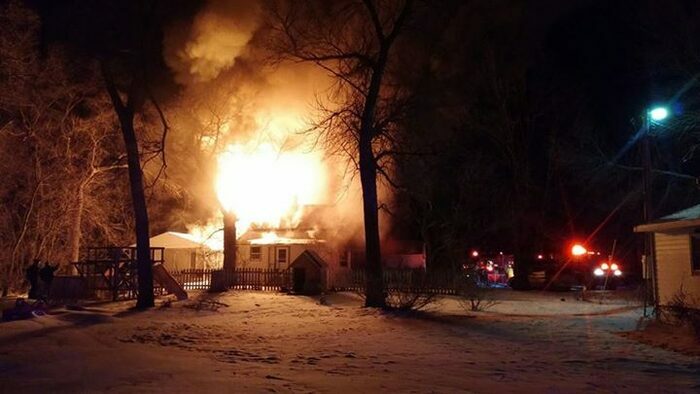 Early morning on January 14th, Adam and Sadie McGruder and their five daughters escaped from their house which was consumed by a fire and they have lost everything. The house is also a total loss. A Fundraiser will be hosted at W Dee's Pour House in Gayville, South Dakota on Saturday January 24th from 4:00 pm to 9:00 pm. Families and everyone is invited to attend. There will be Dance (Music by: "COWBOY'S FEATHER RIVER BAND" auction, Give-A-Ways, and much more. Toys and cloths are needed for the girls and monies for the family. Girls ages are: 6 Months, 1 Year, 5 Years, 7 Years and 8 Years old. Everyone can help in some way! 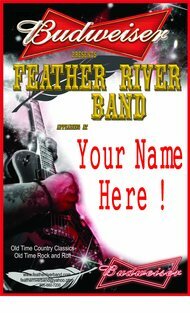 Feather River Band sponsored by: Budweiser of Yankton. FREE Tacos from 5:00 to 6:00. An account for donations has also been set up at the First National Band in Yankton. Dad wears size medium shirts and size 30/32 pants. 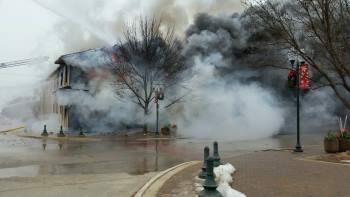 On Sunday December 7th, 2014 in Spirit Lake, Iowa in the early afternoon hours a fire started and burned down a whole apartment complex. 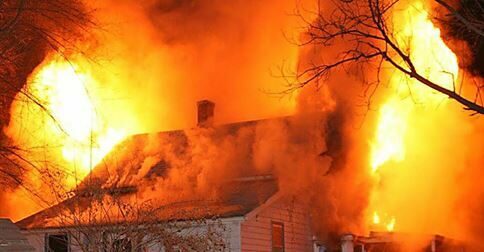 One 40 year old male and numerous animals perished in the fire. Approximately a dozen families or more were left homeless and lost everything they owned. The Red Cross has set them up with shelter. It is not only tragic, but just before Christmas. Let's all come together and give them a night to remember, let them forget their troubles for awhile and have a good time with people around them who really care. A Fundraiser dinner and dance will be held at the VFW Post 4514, 918 Lake St., in Spirit Lake from 4:00 pm until 9:00 pm. A Spaghetti dinner will be served from 5:00 pm till 7:00 pm. There will also be an auction of various items, 50-50 Drawing, lots of Give-A-Ways and more. The Fundraiser will be MC'd by Cowboy of the Feather River Band, and entertainment will also be furnished by the FEATHER RIVER BAND, from Yankton, South Dakota starting at 4:00pm. All proceeds and funds raised will be deposited into an account set up at the Central Bank in Spirit Lake and 100% of the funds raised will go to the families in need. 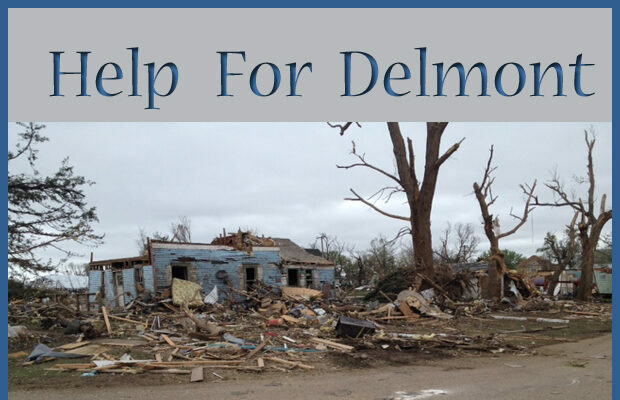 You may donate at the VFW Post 4514, or send deposits to the Central Bank. For more information call Brenda at: (712) 331-4516. Why does Cowboy do this and why has he done it for so long? Copyright © 2014. Feather River Band. All Rights Reserved.